155.50 acres. Zoned Agriculture. 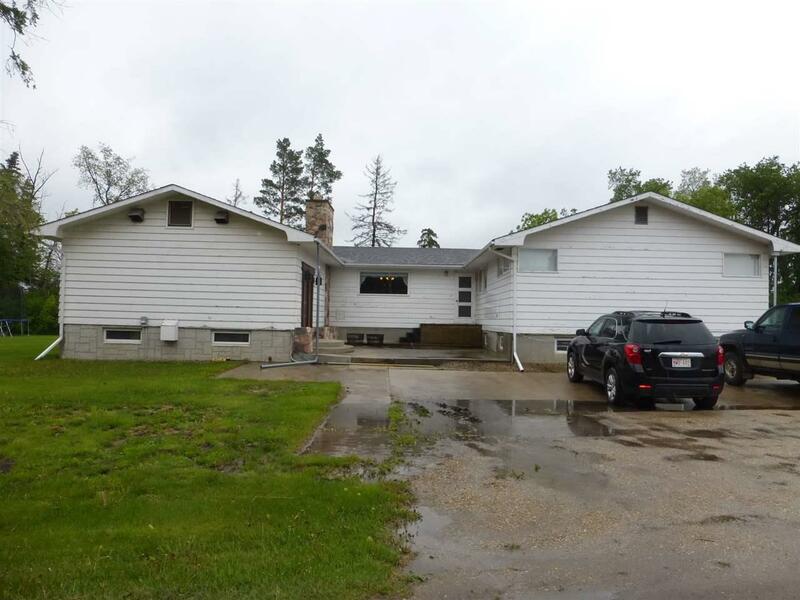 POTENTIAL TO SUBDIVIDE & FOR INDUSTRIAL & COMMERCIAL DEVELOPMENT. On Hwy 13 close to Junction Hwy 21. Municipal water supplied to this quarter, line runs across the property. 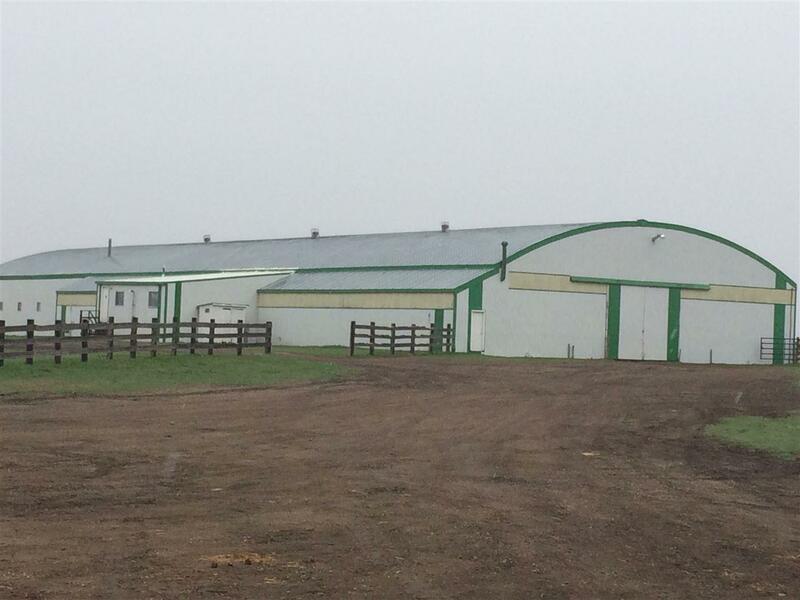 Used as a horse training & boarding facility, indoor & outdoor riding and roping arena. Underground power throughout the yard. 1.5 million gallon dugout, well system for horse barn/stalls, 7 stock waterers, weigh scale shed, silo feeder. 17 pens with water (heated waterers). New lighting in the arena. 13,080 sq. ft. riding arena built in 1960s with dirt floor, power,NG. 72 x 70 arch rib bldg with concrete floor, power. 300 x 140 outdoor arena with stands. 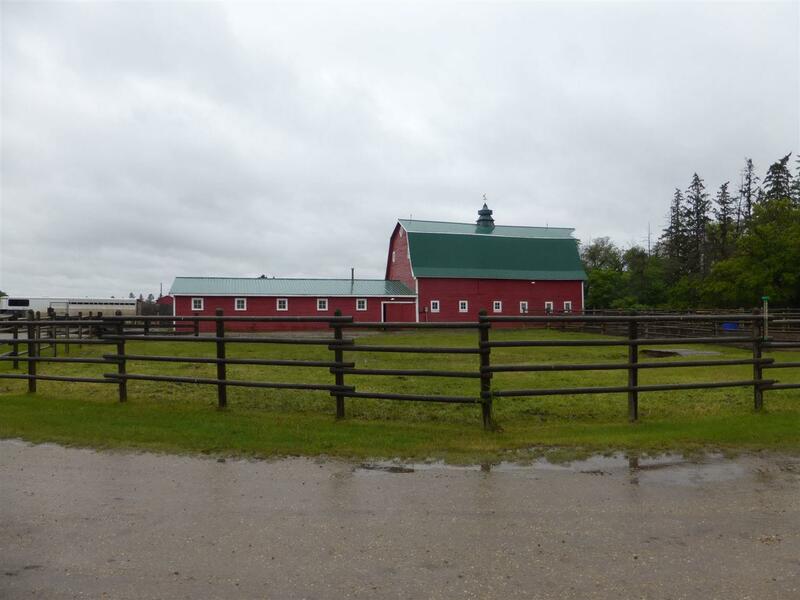 2 storey building with an announcers booth on top floor & tack room on ground floor. 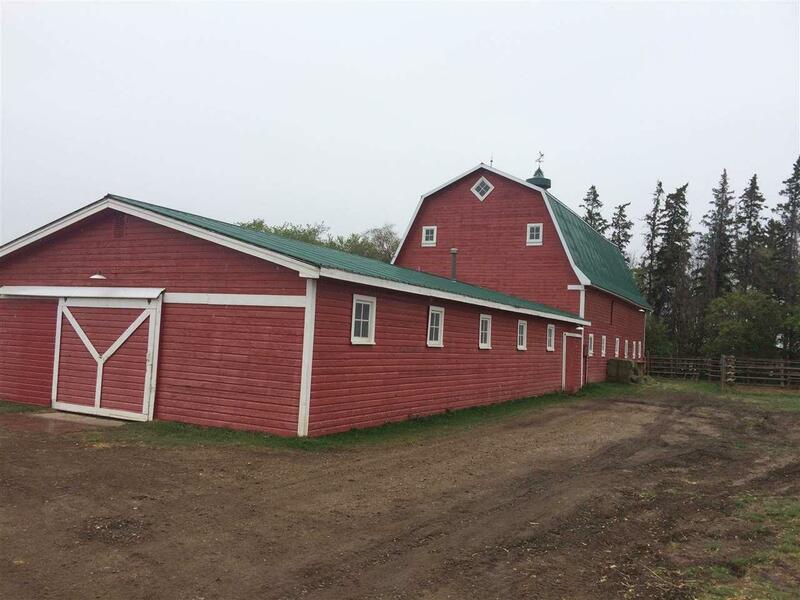 30 x50 hip roof barn with loft, built in 1950s, a 30 x 60 addition with 10 box stalls. Spacious 2556 sq. ft. bungalow built in 1960s with addition in 1975. 4 +2 beds, 2- 4pce bathrooms, 3 pce, 2 pce. House has several recent upgrades.